The signs for Pumpkin Spice Lattes in Starbuck’s windows are in full swing, shop windows are loaded with Santas and twinkling trees, and Black Friday deals are kicking into overload. These are some of the cues for dropping temperatures too, which means your skin needs some extra TLC to get through the onslaught of the winter season. Lips, hands, and nails can be especially problematic because these areas tend to get more daily exposure to cold weather, winds, chemicals and the sun. Switching your daily skin care regimen to thicker, more emollient products will help keep the natural moisture in your skin where it needs as much as it can get. “Nighttime is an ideal time to accelerate the natural repair and healing process. 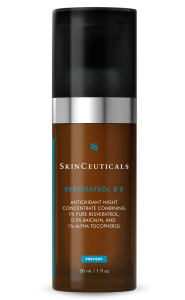 I recommend SkinCeuticals Resveratrol B E, which is loaded with potent antioxidants to rejuvenate your skin while you sleep. Keep skin healthy during the day by using only gentle cleansers that won’t strip your skin, and don’t forget a daily dose of SPF30. Even on cloudy winter days, UV rays that cause photodamage and skin cancer are still present,” says Dr. Cheung. Dry skin also brings peeling and chapped lips that can split, crack and flake from the cold. Use a soothing lip balm with an SPF for daytime use. ChapStick® Dual Ended Hydration Lock Day & Night is ultra conditioning to deliver eight hours of extra moisture from tamanu oil and natural butters at night time. 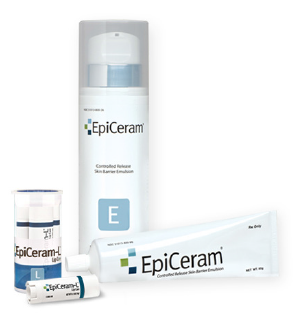 For severe dry, cracked lips, Dr. Hellman also recommends EpiCeram®-L Lip Care. 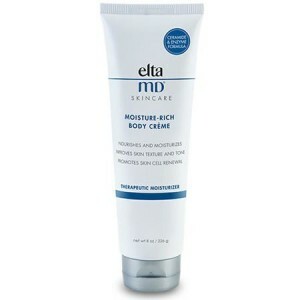 Dr. Forley recommends using EltaMD Moisture-Rich Body Crème’s ceramide-enhanced formula with enzymes and niacinamide twice a day for best results. Another option is AmLactin ® Cerapeutic™ Restoring Body Lotion, which contains ceramides to help strengthen the skin’s protective moisture barrier, as well as alpha-hydroxy acid for gentle exfoliation. A deeper exfoliation can be achieved by scheduling clinical treatments every four to six weeks to get rid of dead, dull skin cells that tend to build up. For that purpose Dr. Forley advocates SilkPeel® DermalInfusion. But not all winter beauty tips involve sophisticated lotions and beauty appointments. One of the most popular dermatologist-recommended pre-winter skin strategies is to bypass long, hot showers. A humidifier is also recommended to combat the effects of dry, winter air and moisture-robbing indoor heating systems throughout the night. Lastly, hats, wooly gloves, and thick scarves are a must when the temperatures drop below freezing. Add a face mask when the temperate dips into single digits and if you will be exposed to the elements for longer periods, like on the slopes.